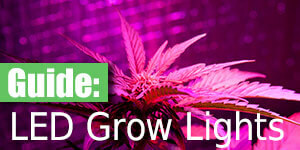 Homemade pipes and bongs are generally the first thing many people smoke out of in their budding stoner-careers. 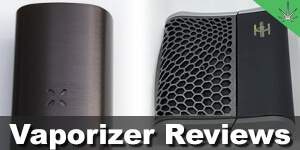 They can be as simple as an apple or pen pipe, or as extravagant as some of the pipes listed below. It is important to us that you puff safely though. Using plastic containers or sugary snacks as the medium for your next pipe could have lethal consequences. The fumes from these toxic materials can do serious damage to your lungs and will leave you feeling more sick than high. 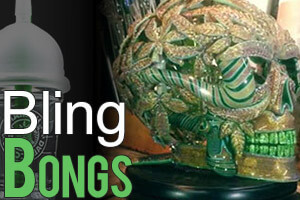 Enough of the safety lessons though, let’s take a look at some of the most impressive homemade pipes and bongs from the cannabis community. 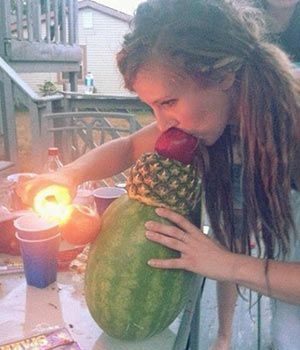 Easily convert your watermelon pipe into a watermelon bong by hollowing out the center, putting in some liquid, and using a carrot as a bowl / stem. Not much different than the watermelon pipe above, but the pumpkin pipe is perfect for Halloween tokes! 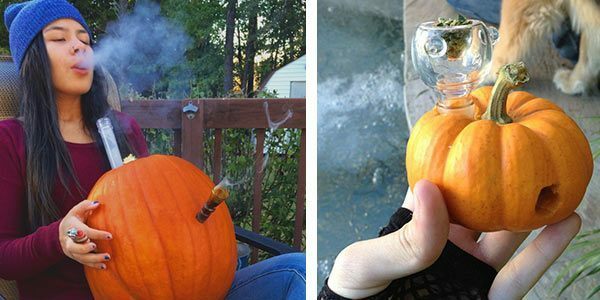 Pumpkins have quite a bit of hollow space inside, so pumpkin bongs are probably a better bet. Where as a gourd (see pic) makes a perfect little pipe. 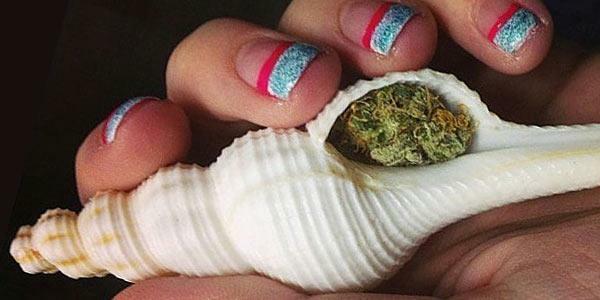 I am sure this is an old trick for plenty of stoner-surfers, but OceanTokes took it to the next level with their line of seashell pipes. If you want to make your own seashell pipe, you will just need to hunt down the perfect shell, wash it out real nice, and toss in a screen. 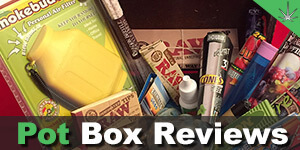 A super quick and easy option if you only have a lighter, some herb and a stick. Use the same principle for an apple pipe, except the earth is your apple. Find some wet sand or dirt, not too wet though, you want to be able to mold it without it breaking apart. Poke two holes into the ground forming a V shape underground. One of the holes is used as the bowl, the other as the mouthpiece. 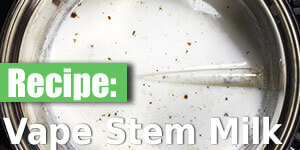 If you have half of a bottle or a straw on hand you can mold the dirt onto the more sanitary mouthpiece. 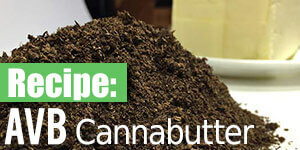 Not every delicious treat can be crafted into a pipe, but most probably can! 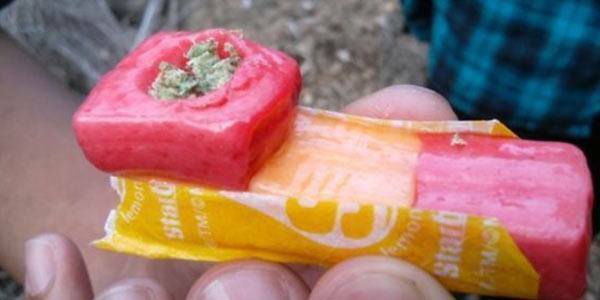 Take this very crafty Starburst pipe for example, with a little bit of stoner-ingenuity anything is possible! Users say that the starburst pipe delivers a delicious fruity flavor, who would have guessed?! Heavy use will result in a gooey mess, also be warned that smoking starburst is absolutely terrible for your lungs. This homemade bong takes a bit more preparation than some of the others, you will also need a diamond tipped drill bit. 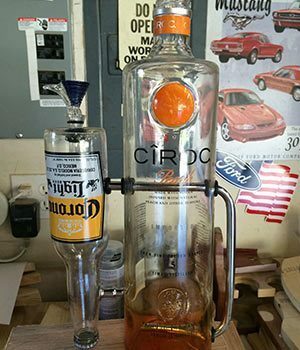 To make your very own booze bottle bong, you will first need to select your favorite empty bottle. Proceed to drill a hole in the side, start small, be sure whatever you are using for a stem will fit snugly with a rubber washer. Time to dig up the old lego collection and put it to good use! Your imagination is your only limitation here, go as big or as small as you want! 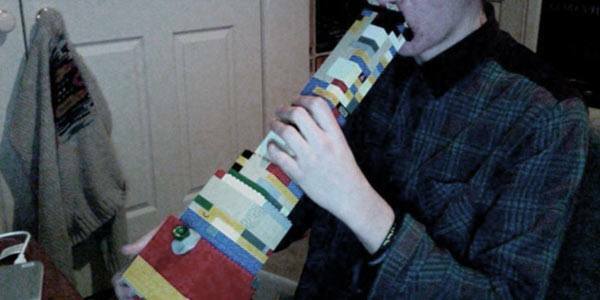 “Having to build your bong before smoking really adds to the whole experience” says one lego-loving stoner. Anyone who has owned a Nintendo 64 has a broken controller somewhere. 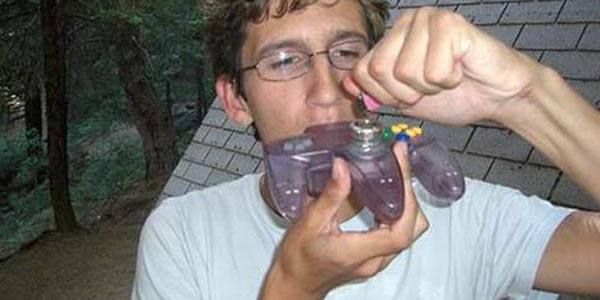 Instead of sitting around taking up space, put that old broken N64 controller to good use and fashion it into a nostalgic smoking device. Open up the controller and gut it, remove the joystick but keep the buttons. Put your controller back together and put your bowl in the joystick hole. Use the cord hole at the top of the controller as your mouthpiece and you are good to go! 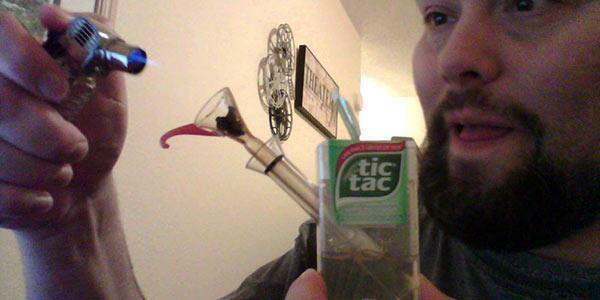 This thing is streets ahead of the classic pen pipe, any old tic-tac container can quickly be fashioned into a mini-bubbler. 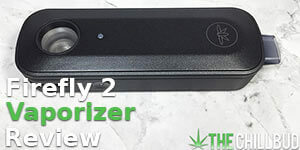 No, you won’t be getting giant clouds of smoke with this petite smoking device, but it’ll impress your buds in a pinch. A truly impressive feat of stoner engineering. 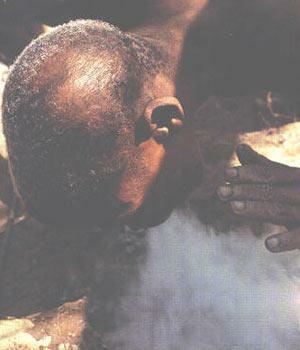 For anyone who feels that smoking is just too much work. 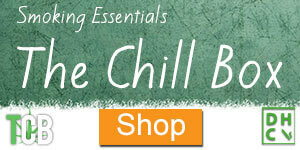 All that inhaling can be taxing, so let the pipe do the work for you! 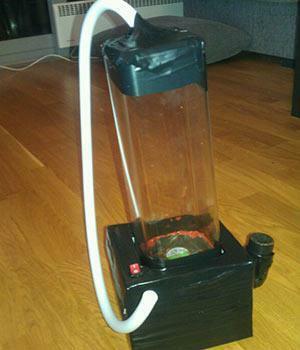 The fan powered pipe uses a small computer fan to draw air through the bowl and into the chamber. Necessary? Of course not, but it’s pretty damn cool! If you have an awesome homemade pipe / bong you want to show off, let us know! We just might add it to the list.